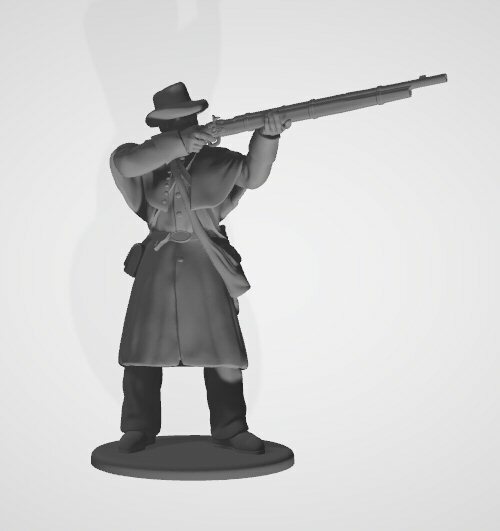 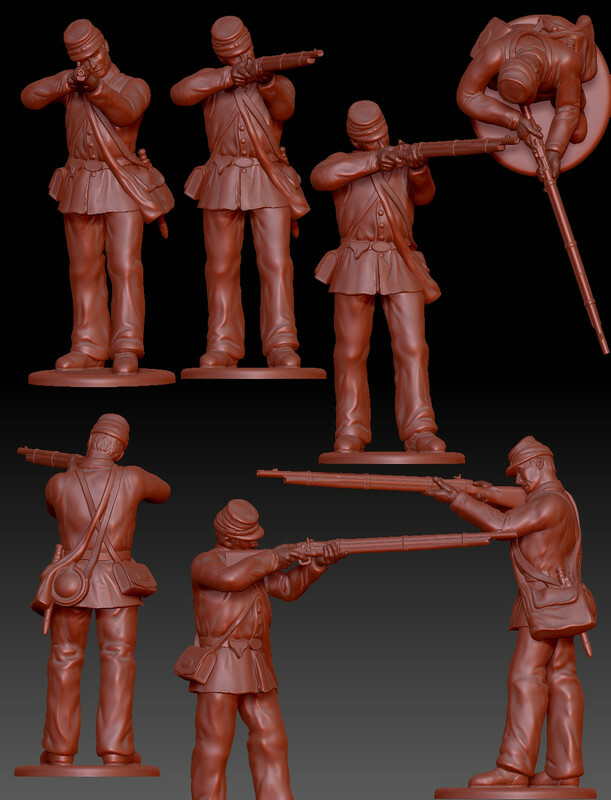 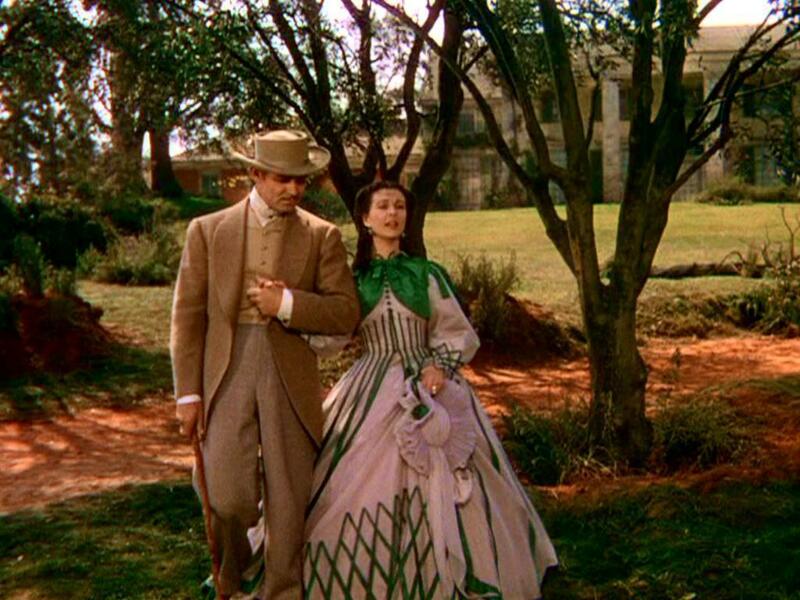 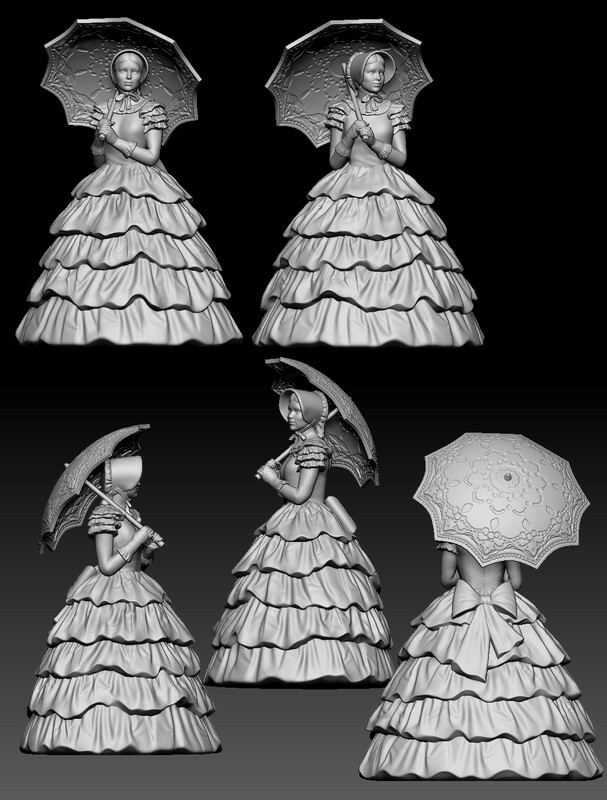 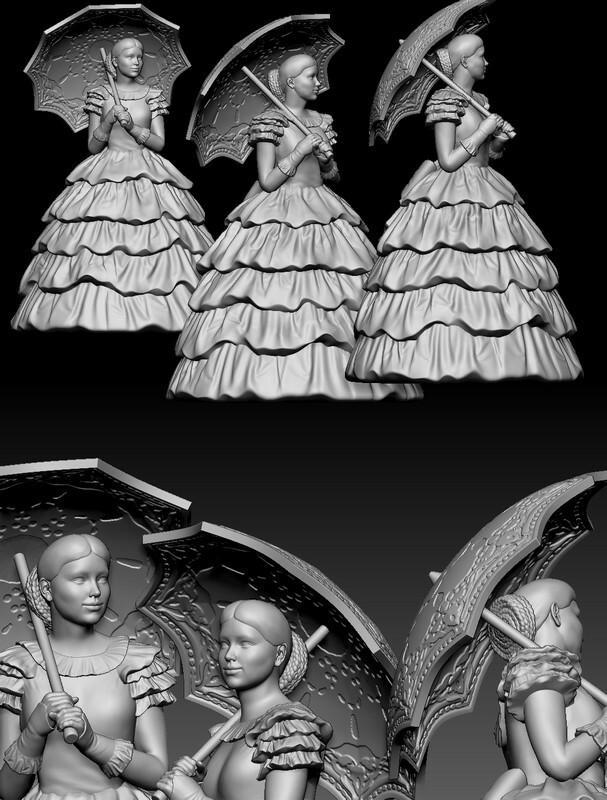 A few variations of the hoop skirt lady will be available, useful for ACW and Western settings. 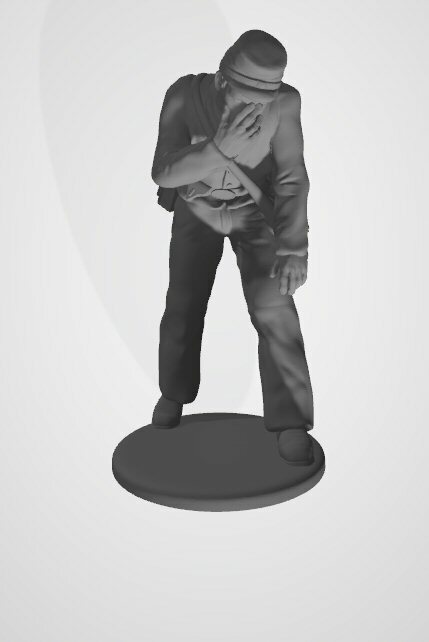 Actually watching that movie right now, been thinking of creating some more characters from it. 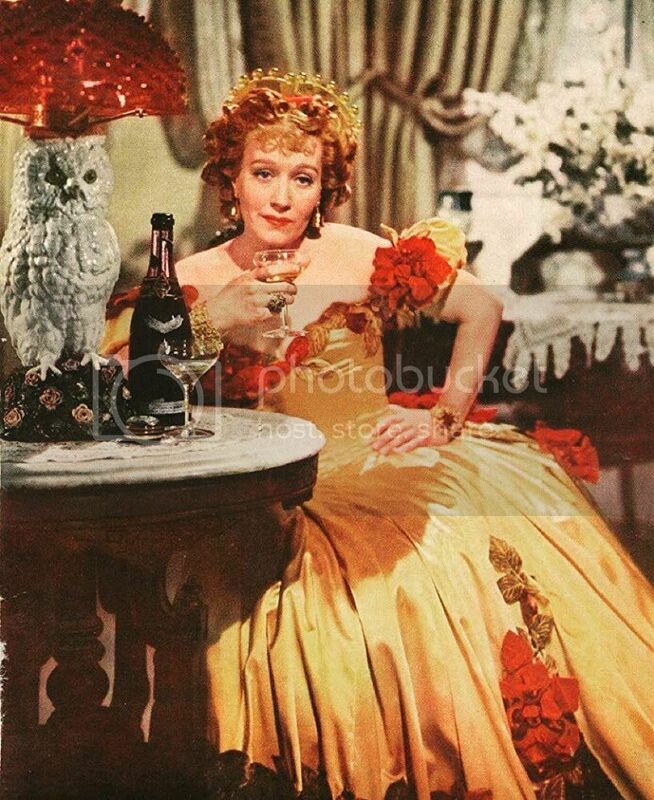 And while we're at it, would love to see Mammy, Prissy, Big Sam and -by all means- Belle Watling in 1/72! 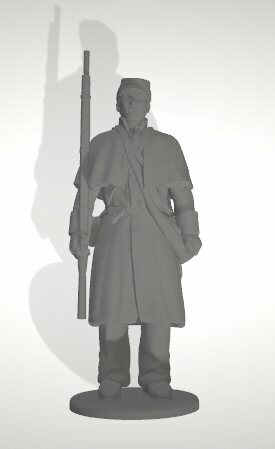 Some of the new printed figures! 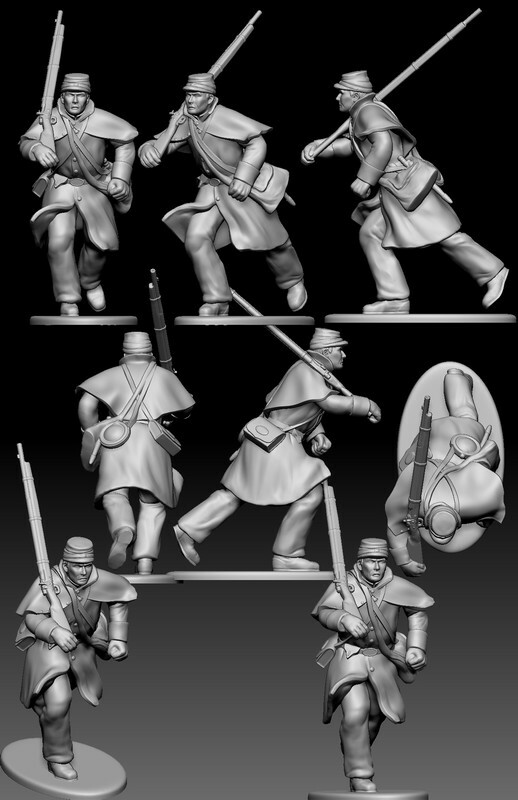 Some new characters, officer and private in great coat. 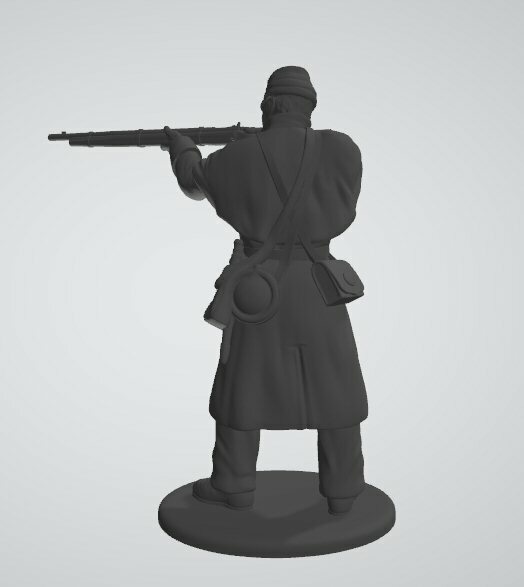 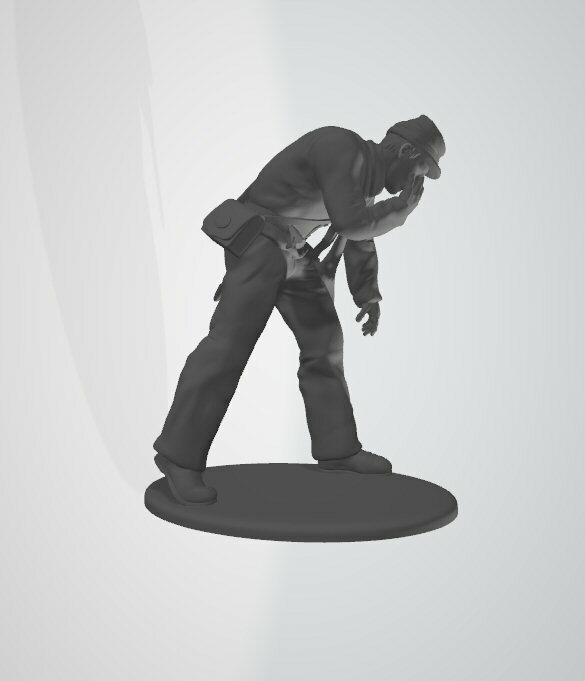 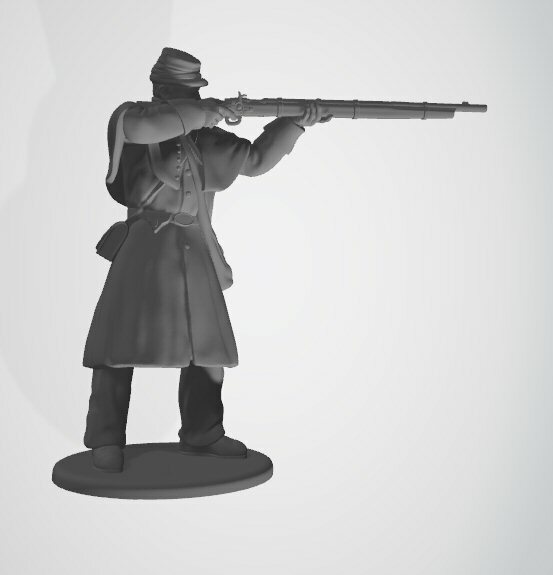 The firing pose in the great coat line. 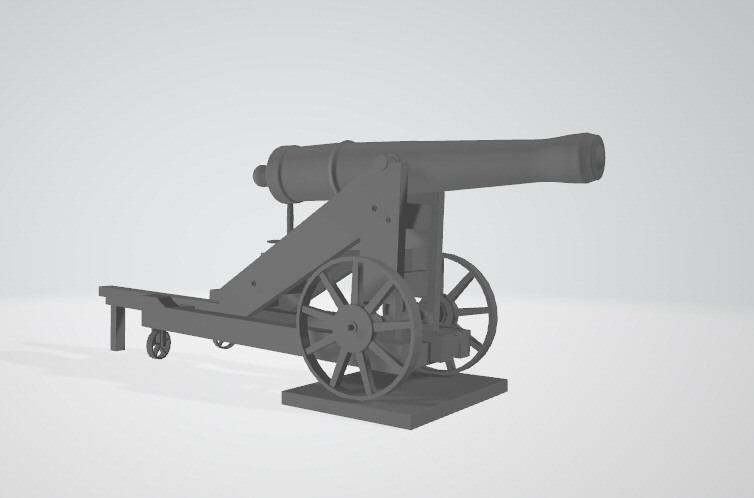 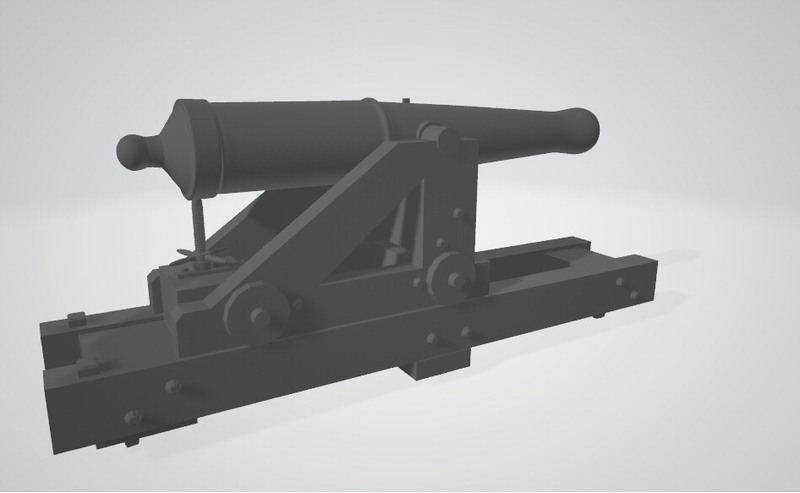 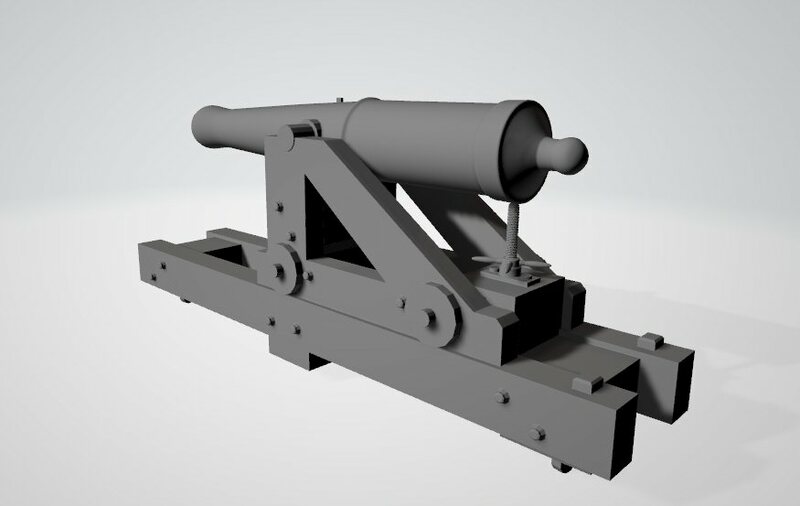 24 pounder cannons on barbette carriages to be used as siege and fort artillery. 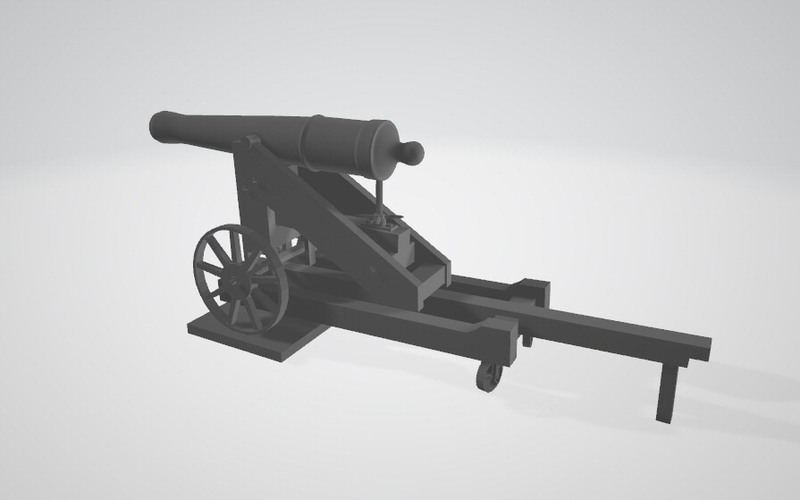 Absolutel great progress on your project. 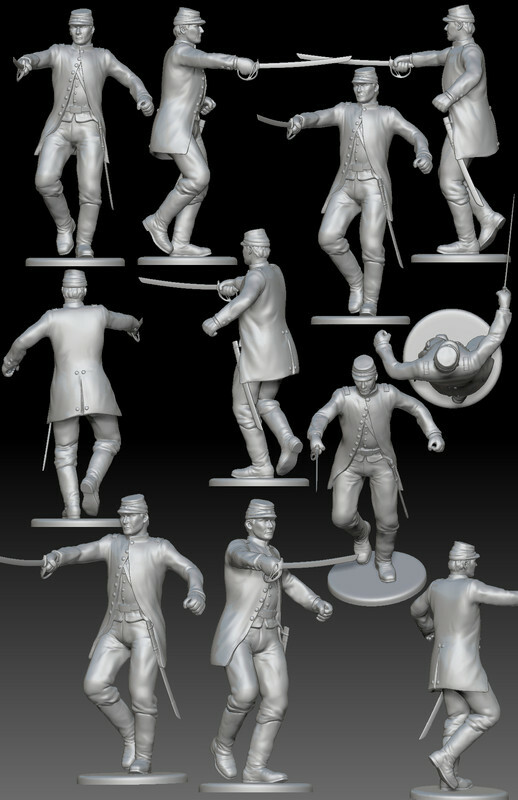 I am really interested in some of the figures. 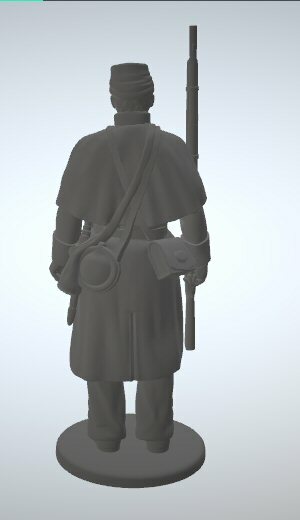 A couple of shots of the new officer poses. 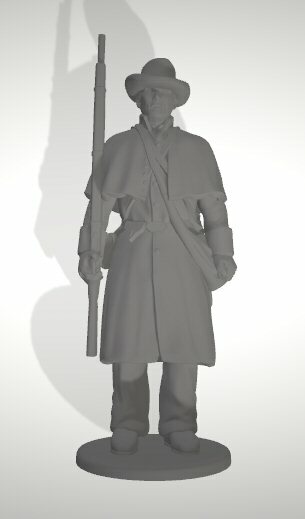 This is getting huge!!! 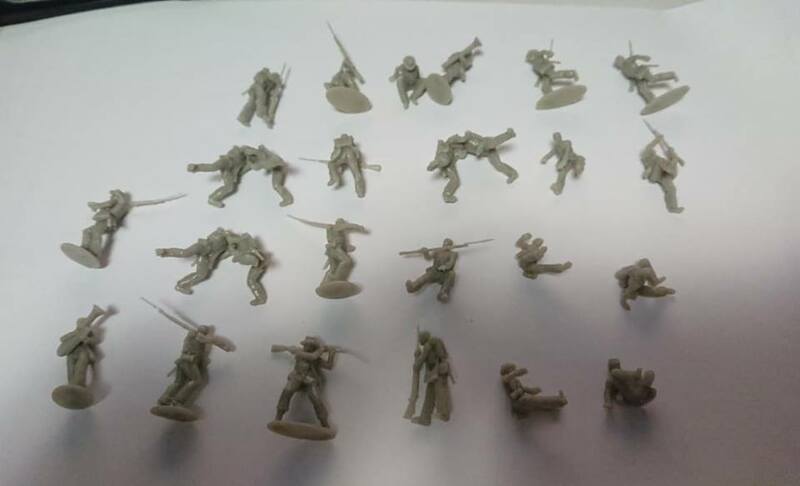 I long for some painted figures! 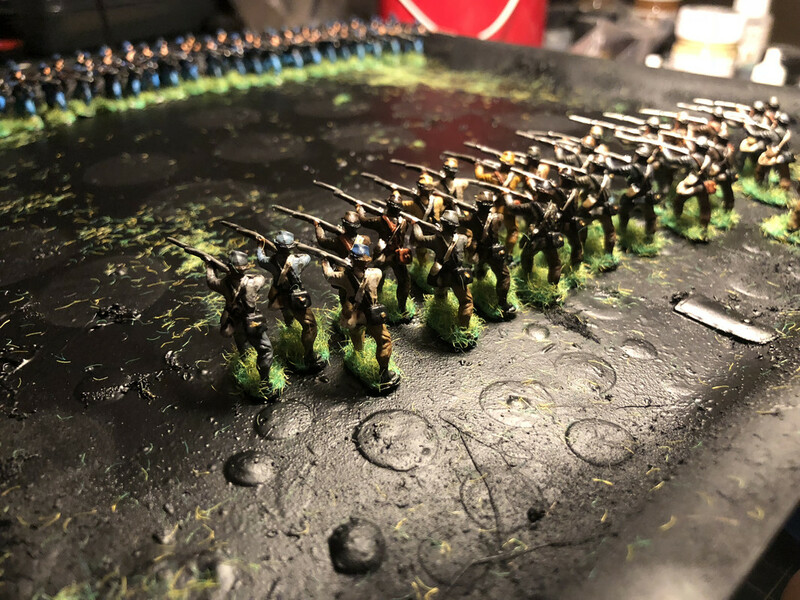 Those you have painted before looked very nice and those new figures beg to be painted. 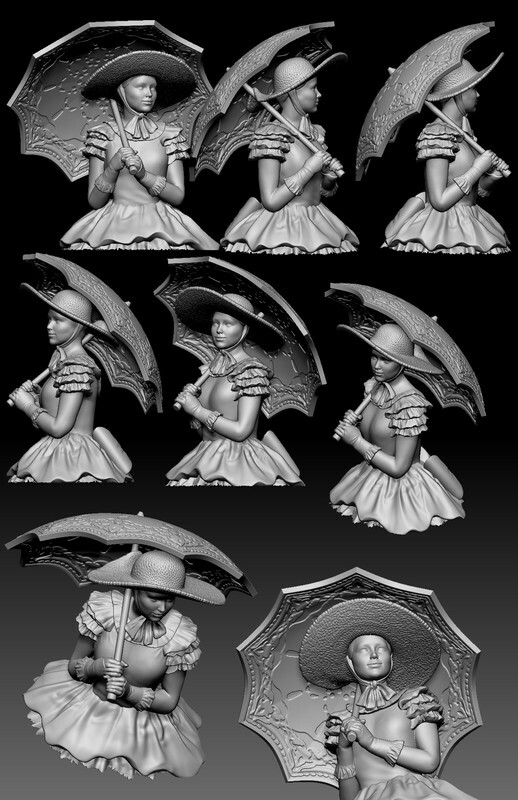 Anyhow, very cool project! 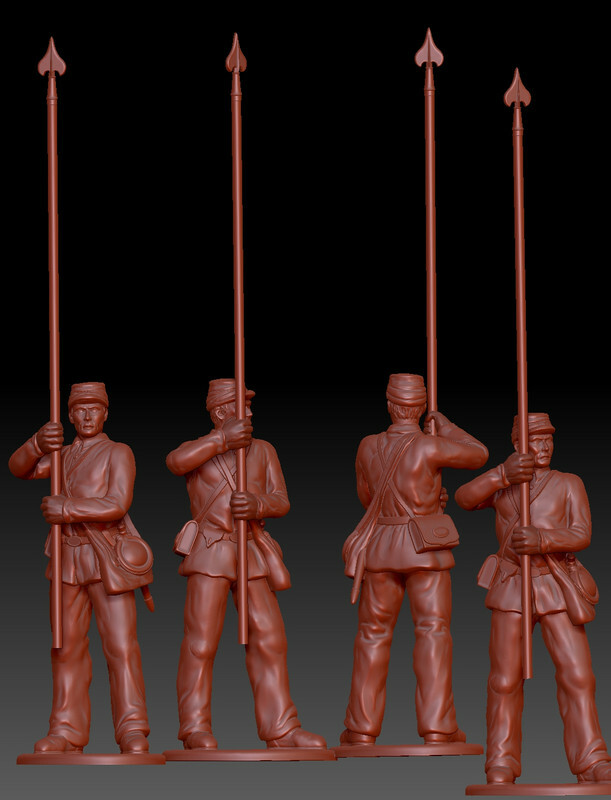 A colorbearer, the length of flag staff will be a bit smaller in the final stage. 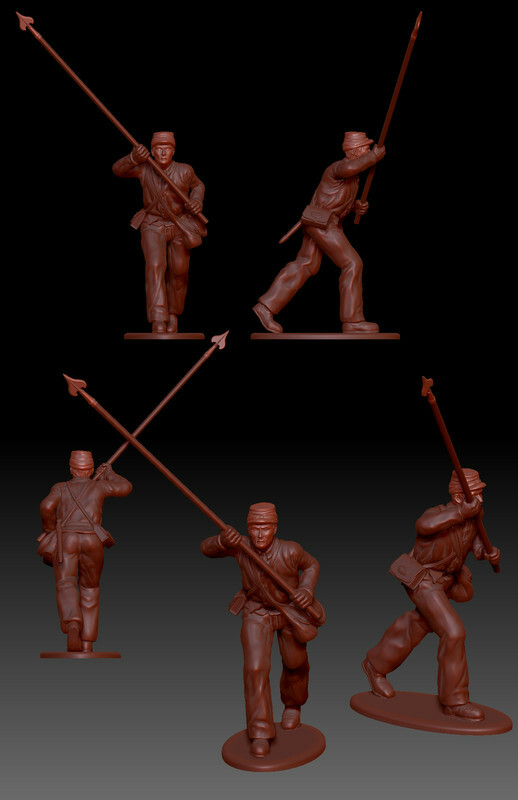 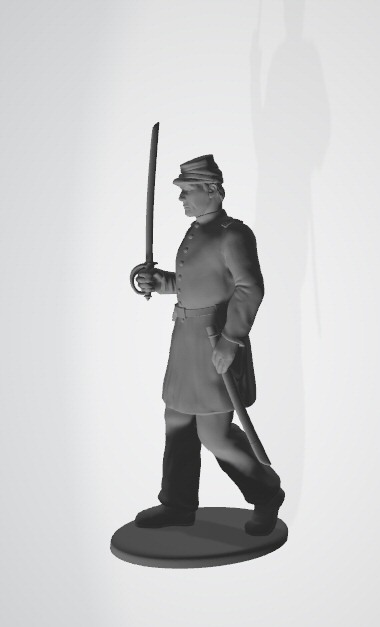 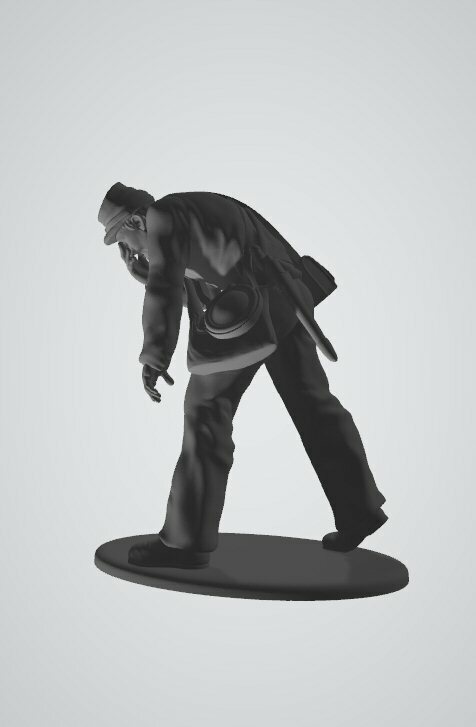 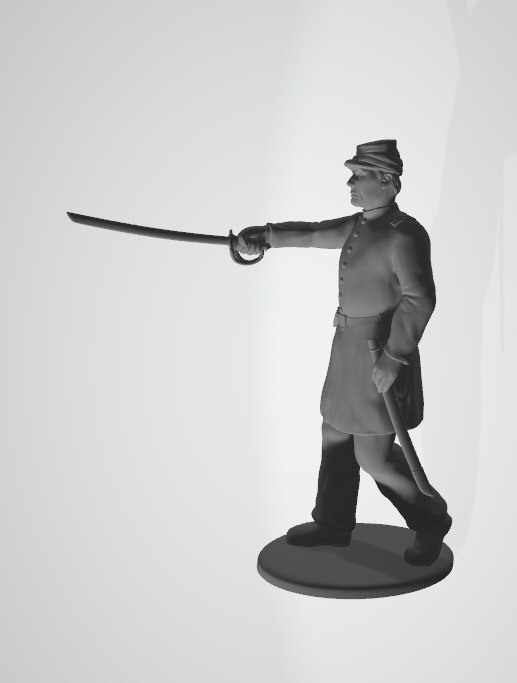 Second pose of the color bearer. 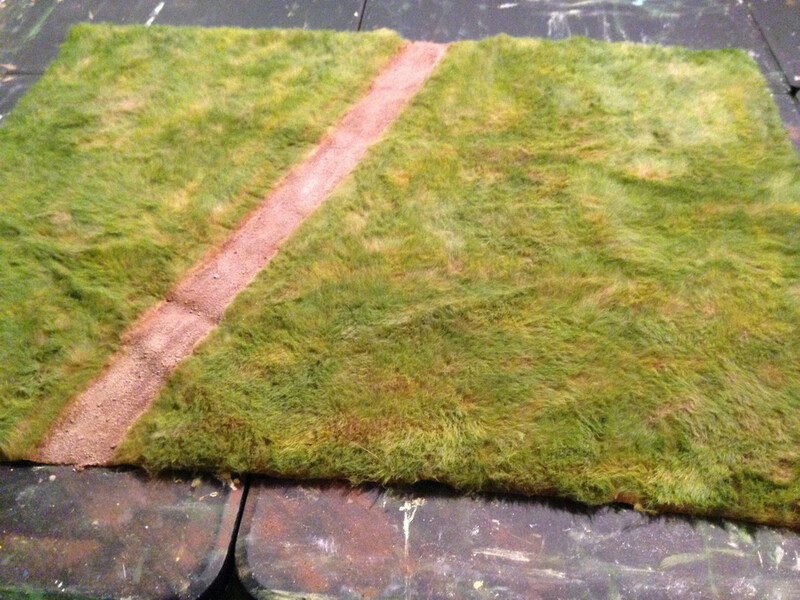 Also here is the terrain for the Gettysburg "The angle" section, showing the Emmitsburg road, the stonewall section and Union position will be to the right. 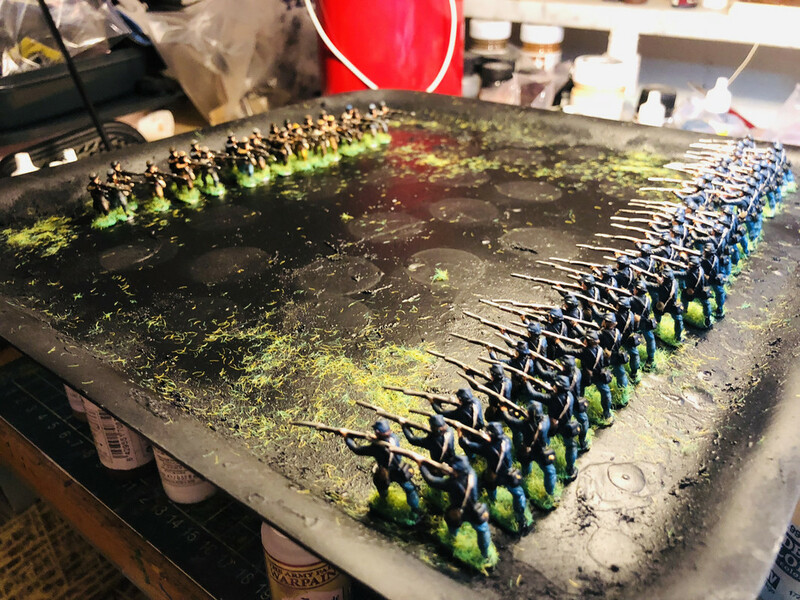 Some painted figures and fence.